Danielle is an attorney at Whitfield, Bryson & Mason LLP’s Washington, D.C. office. Her primary focus is in protecting employee and consumer rights through class action lawsuits. Danielle graduated from the University of California, Berkeley in 2010 with a Bachelor of Arts in Peace and Conflict Studies. During her undergraduate studies, she managed and rowed for the university’s Lightweight Crew Team abd also spent a year in Budapest, Hungary, where she interned with the Helsinki Committee, an international human rights organization. Danielle went on to attend Loyola Law School, where she was on the Board of the Public Interest Law Foundation and headed efforts to promote alternative dispute resolution, including founding a club structured to inform students of developments in mediation and working at The Center for Conflict Resolution. During law school, she held an externship as a law clerk for the Honorable Victoria Chaney of the California Court of Appeals, worked with the Labor Division of the Los Angeles Office of the City Attorney, and was a Board Member for the Public Interest Law Foundation. 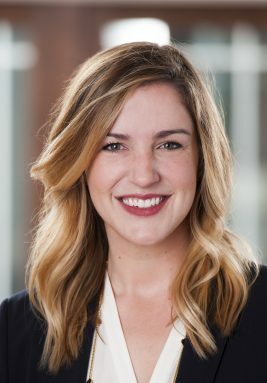 Prior to joining Whitfield, Bryson & Mason LLP, Danielle practiced at a Plaintiffs’ class action firm in Los Angeles, where she worked as an advocate for victims of wage theft–employees who were being deprived of pay and not provided with legally required meal and rest periods. Danielle spent much of her time working on lawsuits brought to recover lost wages and penalties for banking, manufacturing, retail, property management, and trucking industry employees. Danielle is a member of the American Association for Justice and regularly volunteers as an advising attorney at the Employment Justice Center. Let’s start talking about your case right now with a free consultation! Whether you’re certain that you have a case or just want to talk to an experienced lawyer, we’re here to help. No matter how complex the case or how daunting the opposition, we fight for our clients every step of the way. Get our latest update and success stories right to your inbox!